This month, the seven Canadian NHL clubs and their players are bringing a difficult topic to the forefront of the hockey season: mental health and wellness awareness and education. 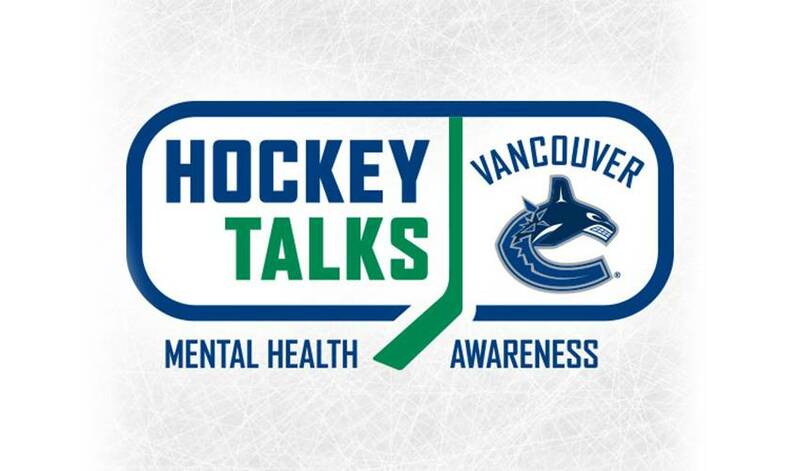 Hockey Talks, a month-long campaign, will build off the fantastic work started by Mindcheck.ca in British Columbia last year, a mental health support tool launched following the tragic death of Rick Rypien. Rypien, who passed away in August 2011, had endured a challenging battle with mental illness. A fan-favourite in Vancouver, he had signed with the Winnipeg Jets only a month before his passing. His former teammates and NHLPA peers across Canada are working to carry on his legacy through Hockey Talks working with a number of mental health organizations across the country. Spearheaded by the Vancouver Canucks and their players, the project will see each Canadian NHL club host a Hockey Talks night at one of their February home games, encouraging mental health discussion while removing the stigma that is wrongly associated with an often devastating disease. Throughout the month, players will also sport Hockey Talks decals on their helmets, while playing in front of Hockey Talks rink boards. Tomorrow, the start of #HockeyTalks for the mo. of Feb in which the 7 Cnd NHL teams join to raise awareness for Mental Heath. Join the talk. The Toronto Maple Leafs put together a video of players from Canadian teams taking the Hockey Talks Pleddge. Watch below as Kevin Bieksa, Josh Gorges, Daniel Alfredson, James Van Riemsdyk, and Jordan Eberle vow to speak up about mental health awareness. Hockey Talks will raise mental health awareness through a variety of outlets, including in-arena messaging, online storytelling, and sharing information and experiences at Hockey Talks game nights. Fans are encouraged to join the conversation by sharing personal experiences or messages of support via social media with the hashtag #HockeyTalks. NHLPA Members have enthusiastically supported the effort to eliminate the negative stigma surrounding mental illness. Fans are encouraged to visit their respective team’s websites and, in British Columbia, to visit www.Mindcheck.ca for more information on mental health assistance and treatment.